Manufactured in Allemagne from Circa 1930 until 1951. Since the beginning of the 30's, Bessa are always there! Admittedly, they changed form well, passing from the folding camera camera to 24 X 36 telemetric.Their name is so “fourishing” that in spite of the disappearance of the company on the market of the camera, the name was taken again recently by Cosina. Bessa even had little brothers (poor! ), Bessy and of the big brothers inflated with the amphetamines, Bessamatic. It is to say! For a little one would skid to the “Forsyte saga” (less than 40 years will have evil to understand.). But let us return to the whole beginning of this saga, with one of the initial models. It is about one 6 X 9 cm adapted to the French market since the distance scale, graduated in meter and doubled by three red inscriptions “Paysage, Groupe and Portrait”. The shutter at three speeds (1/25, 1/50 and 1/100 second) and the time exposures B and T. It also has a retarder. The lens is an anastigmat Voigtar 1:6,3. That could have been also Skopar or Vaskar. It has a framework finder and a finder with reflectors. 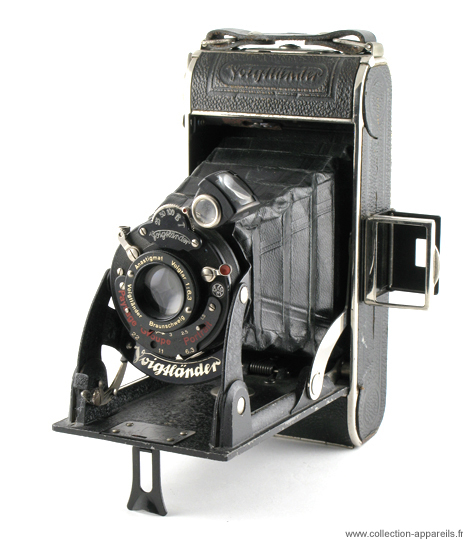 Although having reached the 70 years, this type of camera is still able to make honourable photographs. Olivier Jousseaume proves it to us by presenting some photographs taken with Bessa Voigtar 7,7.